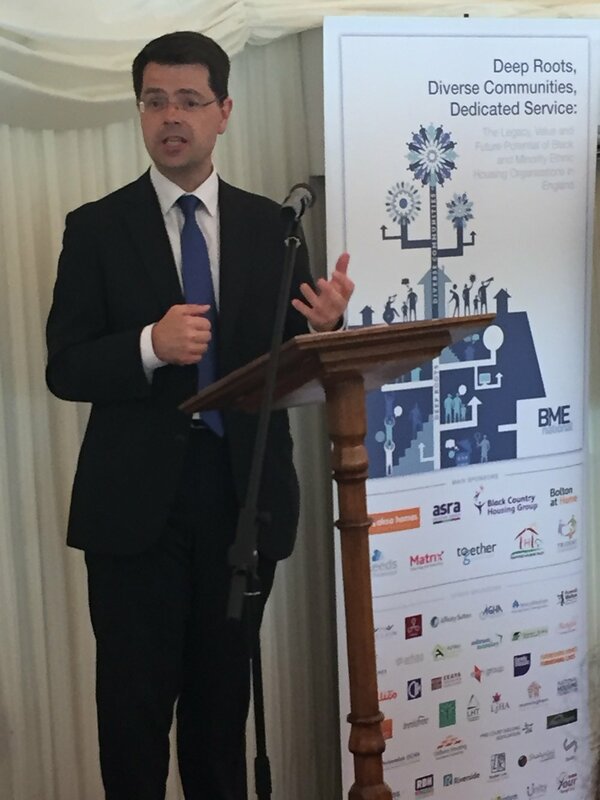 The Secretary of State for Housing, Communities and Local Government was speaking at a special reception in the House of Lords to celebrate the positive role played by BME housing associations in England over the last three decades. Guests, including MPs and peers, were shown a short video reflecting on the experiences and achievements of the BME housing sector. Short speeches were also delivered by Lord Patel of Bradford and Lord Morris of Handsworth. BME National Chair Cym D’Souza ended proceedings by reminding attendees of the purpose of the event. BME National Secretary/Treasurer Ali Akbor, who organised the reception, said it was a fitting celebration of the ground-breaking work done by BME housing associations since the mid-1980s.